Cork has many charms to suit all tastes. Enjoy all the city has to offer or visit some of the surrounding villages for amazing food and atmosphere. For a fun family day out, take the kids to Fota Wildlife Park or why not bring a bike and cycle around Bantry’s paths to enjoy the endless beauty of this part of Ireland. 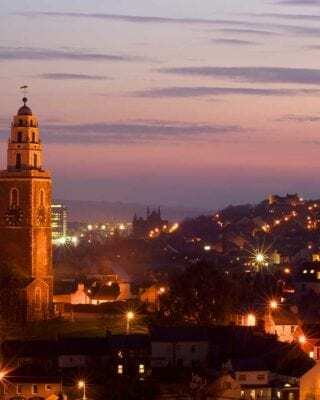 Situated in one of the best locations in Cork, Maldron Hotel Shandon Cork is nestled beneath the Shandon Bells in Cork City Centre and Patrick Street, Cork’s main, vibrant thoroughfare. It is a perfect base if you’re attending the Jazz festival, a gig in the Marquee, a show at the Opera House or any of the family events around Cork. 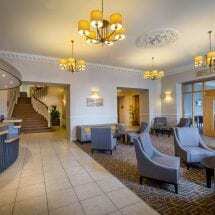 Maldron Hotel Shandon Cork has delicious dining options in either Grain & Grill or Bells Bar. Like all Maldron Hotels, it has a superb breakfast offering including the popular Vitality Breakfast range of tasty choices like thick natural yoghurt with fruit purees, breadboards with sourdough and multi-seed loaves, energy shots & detox water. These slow-burn, healthy options will give you all the fuel you need for your adventures in Cork city! Maldron Hotel Shandon Cork is also home to one of Maldron Hotels’ many Club Vitae Leisure Clubs with a heated indoor pool for you to relax in. 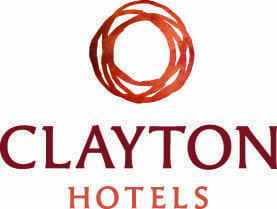 Choose Maldron Hotel Shandon Cork for great value Cork city breaks. 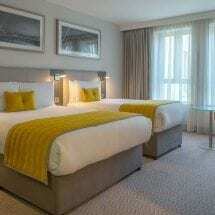 Opened in December 2018, Maldron Hotel in South Mall is a brand new hotel in Cork city centre, overlooking the River Lee.